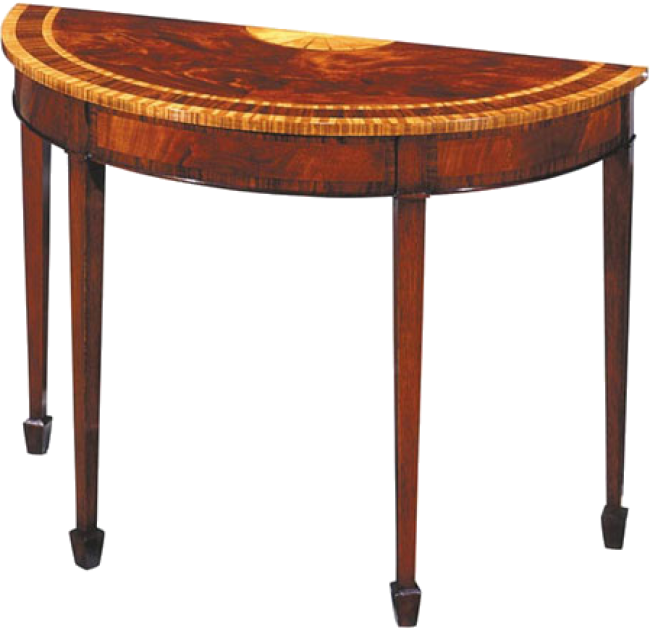 Demi-lune console with Satinwood and Rosewood inlays. Square tapered legs terminating in spade feet. Pictured in Mahogany. Also available at 48"W x 19"D x 32"H and 60"W x 19"D x 32"H.